Goodly: Is Your Sales Presentation Dangerous to Your Health? 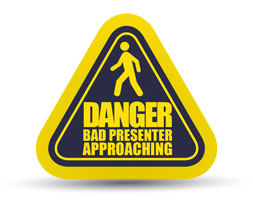 Is Your Sales Presentation Dangerous to Your Health? Blabbermouths. They over-pack presentations, believing customers want to know everything. "In reality, the more information you insist on giving your prospects, the worse you can make it for yourself," Riesterer says. Self-absorbed. Customers want to know what you've learned from other customers. But sales presentations always begin elsewhere. "You will tell them all about you and your company and why your products are best," Riesterer says. "You will also include the obligatory map of the world with your locations; the entire range of the products and services you provide; and the logo slide showing all of your clients." Bland. Most salespeople fail to contrast their offerings with competitors'. As a result, customers zero in on price. If you don't offer a unique viewpoint, Riesterer says, "you've fallen into a bake-off where everyone is presumed to be exactly the same." Focusing your presentation on issues and trends. Couch your presentation in terms of the things that worry customers and threaten the status quo. Differentiating your products and services from competitors'. "Prospects want to hear your distinct point of view on the potential challenges, threats, obligations, or opportunities that put their objectives at risk," Riesterer says. "And, to reach a decision, they want to clearly see a difference between what you offer and the competitive alternatives."